Gift of the Woodward Foundation, Washington, D.C.
Gemini G.E.L. Sequence List. Los Angeles, California: Gemini G.E.L., unpublished, no. 168. 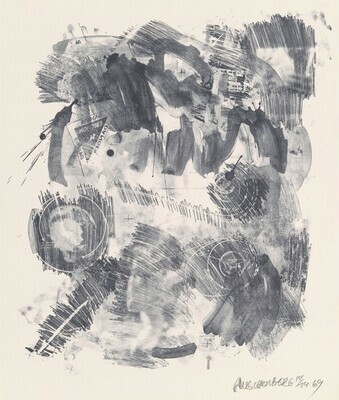 Foster, Edward A. Robert Rauschenberg: Prints 1948/1970. Minnesota: Minneapolis Institute of Arts, 1970, no. 78.